This paper proposes an efficient fingerprint recognition algorithm combining phase-based image matching and feature-based matching. The use of Fourier phase information of fingerprint images makes possible to achieve robust recognition for weakly impressed, low-quality fingerprint images. 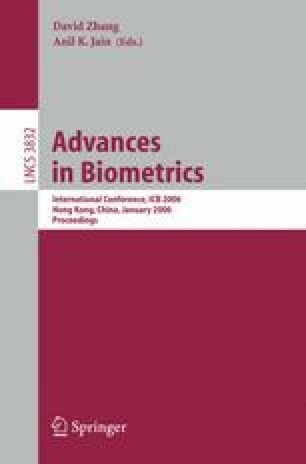 Experimental evaluations using two different types of fingerprint image databases demonstrate efficient recognition performance of the proposed algorithm compared with a typical minutiae-based algorithm and the conventional phase-based algorithm.